Ray Quinn stars in the happiest musical around! 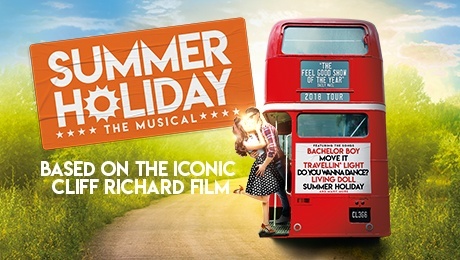 Summer Holiday the Musical will play at the Kings Theatre Glasgow from 30th October to 3rd November 2018. Bringing music, laughter and fun to the stage as it becomes the happiest hit musical around. Ray Quinn of X factor fame stars as Don (originally played by Cliff in the film) who heads on a fun packed boys trip in a London bus visiting Paris, The Alps, Italy and Greece, in search of a good time and a brilliant summer. This Summer Holiday musical is the happiest of all musicals. It is a feel-good show with bundles of energy and lots of laughs – it is sure to put a huge smile on your face. Bringing music, laughter and fun to the stage as it becomes the happiest hit musical around.